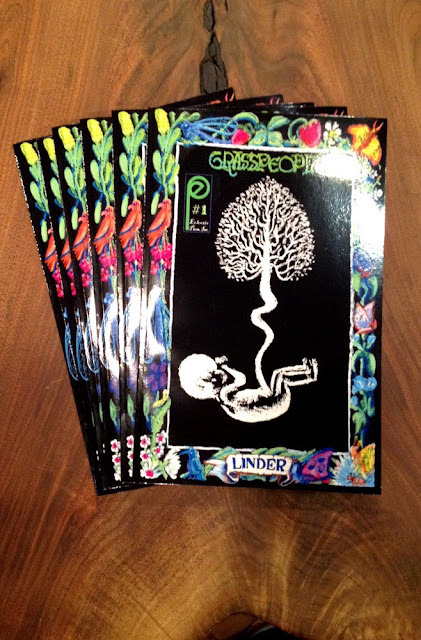 It was my pleasure to interview Allan Linder, author of “Grasspeople”, a vibrant fantasy graphic novel, both in its illustrations and its story. For the full review, click here. Below are my questions in italics and Allan’s full, unaltered answers following. I am a 4th generation artist in my family and I’m very fortunate that they were always encouraging me to pursue my talents. I won my first drawing contest at age 5 and an art scholarship at 17. After that, I started working for Disney, WB, Sony, and many others as a freelance artist over the past 20 years. I primarily worked in animation character design and storyboards for film and television. Sequential art has always been in my life as a way to escape. I feel like it’s one of the few methods of visual story telling that only requires imagination, pencil and paper. You don’t need to have a big budget to develop an idea. 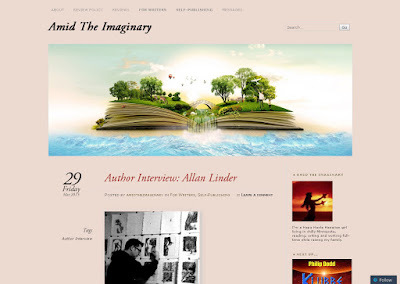 You can check out the full interview here, at Amid The Imaginary.